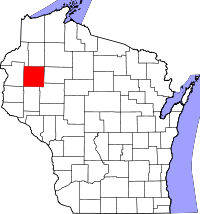 Barron County vital records were consistently recorded in 1907 upon the mandate of statewide registration. Copies can be ordered by mail (the Register of Deeds in Barron for all records, and the Clerk of Court for divorces) or from the state Vital Records Office of the Department of Health in Madison. Certified copies are restricted; uncertified copies are not and can be requested from the Vital Records Office by mail, fax, or in person (online through VitalChek). Historical records, dating from 1868 (marriage) and 1877 (birth/death), can be located locally or at the Wisconsin Historical Society, with an online microfiche statewide index. Dallas County was renamed Barron in 1869.